This phrase was the inspiration behind the Church name, taken from an old hymn written in the late 1800's by Jessie Pound and Charles Gabriel. Cross Way Baptist Church is an independent, fundamental Baptist Church, founded in 1987 by Pastor John Schell and his wife Helen. 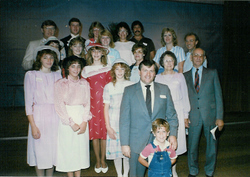 The first service was held on March 7, 1987. Twenty people attended and God has blessed with a growing membership over the past two decades. The church began in the auditorium of a local San Carlos school before moving to a small storefront space. In 1993, the church had grown far too large for the storefront, even though it now occupied over half of the complex. God continued to bless abundantly, opening the door for the church to purchase ten acres of local property that already contained a small vacant church building. Cross Way continued God's ministry in South Fort Myers and continued to grow, adding a new entry covering and steeple, a paved parking lot, cleared recreational fields, and two modular buildings for offices, classrooms and a nursery. In 2005, God continued to bless a growing congregation and construction of a new sanctuary and maintenance building were undertaken. During construction, God called Pastor David Vanaman and his wife Chris to Cross Way after serving for over twenty-five years in the ministry in Clarkston, Michigan and Santa Maria, California. 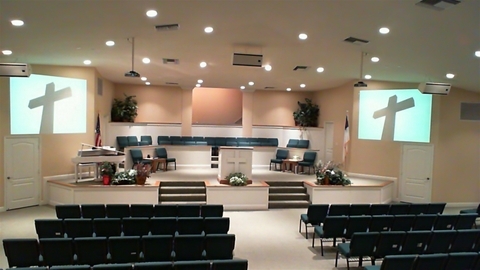 In April, 2006, God blessed again and weekly services were held in a wonderful, new building. 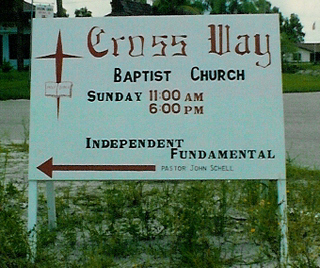 In March of 2007, Cross Way celebrated twenty years of God's wondrous blessing and service in South Fort Myers. God is still blessing at Cross Way as we approach our 25th anniversary of serving God in South Fort Myers. We would love nothing more than to include you in our next chapter of God's blessings.